Its not that these well fed cats haven't seen the mouse. Its more a case of why bother? 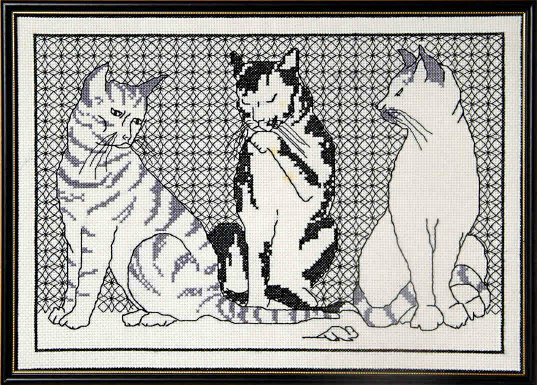 Stitched in black and grey with some cross stitch.